RAPID CITY -- A highway crash has claimed the life of a long-time area racing competitor. Marvin "Marv" Reagle, 59, of Valentine, Neb., died Sunday, Sept. 10, in a collision with a semi-trailer in heavy fog four miles south of Mission on Highway 83. Reagle, a farmer-rancher by trade, raced at tracks all over the upper Midwest, including Black Hills Speedway in Rapid City, during a career that spanned at least 30 years. Marv was known as "The Gambler" because his cars were painted in a "blackjack" motif, carrying the No. 21. 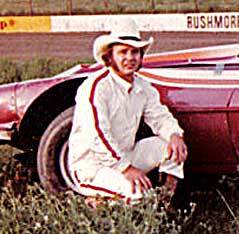 He drove in the Late Model division and later in the Modified class. 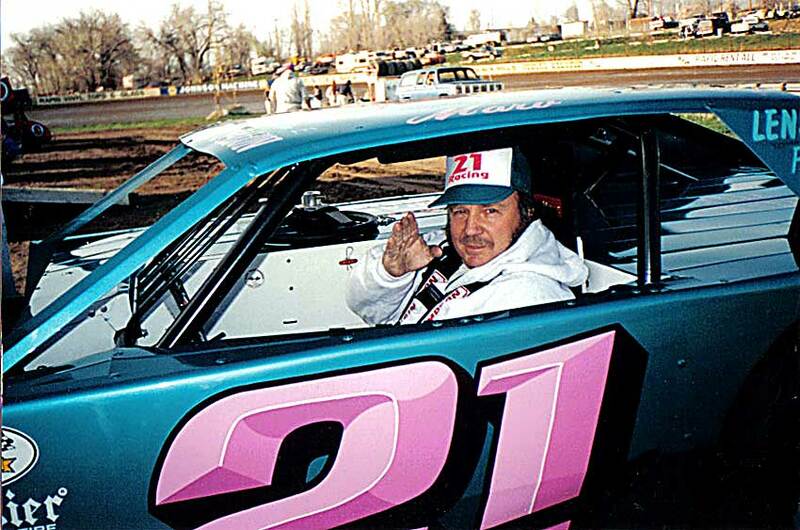 His son Tyler later joined him in the sport, starting in the Grand National/Street Stock class and later moved up to the Modified and Late Model divisions. Father and son often competed against each other. Winner Speedway co-owner Lori Fraedrich said the Reagle family was instrumental in helping her and Scott Mann revive the track in 2002. "They were my track champions that first year. (It) was great (to have) a father and son sharing a championship," Fraedrich wrote in an e-mail. 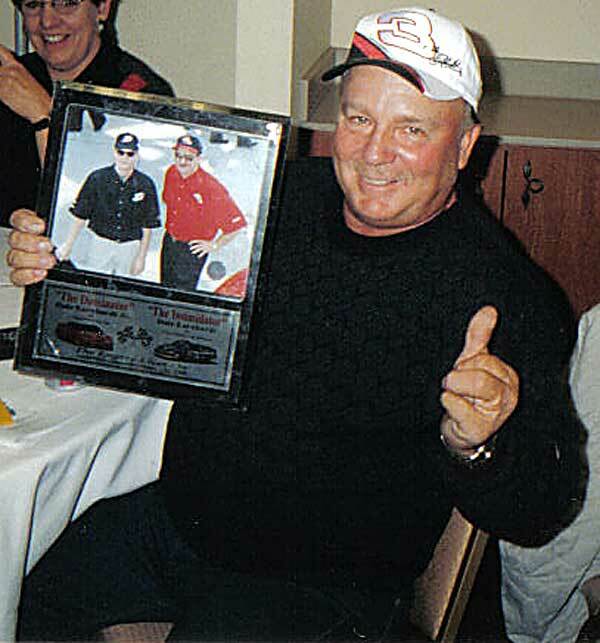 "Marv was the Late Model champion and Tyler was the Street Stock champion." In recent years the Reagles' appearances at BHS were more sporadic. 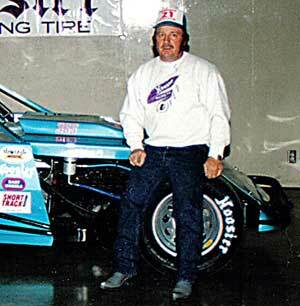 Marv Reagle did post a fourth in the 2003 Shane Sheesley Memorial for Modifieds. An Internet search showed the family was still active this year, racing IMCA Modifieds and Late Models at Lincoln County Raceway in North Platte, Neb. Condolences to his family, fans and friends. Story courtesy of J.R. Hughes. In the nearly 20 years I’ve been chasing racing, you get to meet a vast array of personalities along the way. Those that know your name, shake your hand at each meeting and just add a certain something to what you’re doing. One of those individuals was Marv Reagle. I was among the stunned to have heard of his passing, the result of a horrific automobile accident close to his Valentine, NE home. 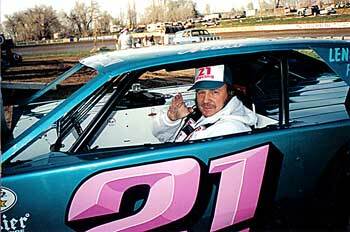 The first time I saw Marv at the wheel, he had a Late Model he dubbed the “Gambler,” to coincide with his ever present #21. After stepping away from racing for a while he returned (like all the good ones do eventually) in the ill fated Sportsman ranks. From there, he graduated to a card carrying WISSOTA Modified driver, usually adorning his machinery with intriguing combinations of hues and designs. His first love was the Late Model division, which he returned to after parting with the Modified. He didn't win every race, but he enjoyed ever race he was in. I truly believe he enjoyed every aspect of his life, from the farm/ranch complex he built to helping son Tyler follow in his racing shoes. I hadn’t seen Marv, orTyler, for a few years, but knew they were still racing, mainly at Nebraska race ways and occasional Winner appearance. Marv was 59 years young – too young to be among the memorialized. I'm not even sure where to begin writing this. On the one hand my heart has been heavy since hearing the news Sunday morning, but on the other hand, as I sit and reflect all of the times I was around Marv, I can't help but crack a smile or let out a slight chuckle as I remember how entertaining he could be. It was rare to ever see him not smiling or surrounded by a group of friends and family just shooting the breeze, maybe bringing up a story from his past that would remind everyone of his humorous side. It always seems when death calls a loved one it's always too soon, Marv was definitely one of those taken much too soon. My memories of Marv go back as long as I can remember, unfortunately many miles separated us and I generally would only see him when he would come to Rapid to race. No matter how much time I had the opportunity to be around him, in passing it never seemed to be enough... but it is comforting to know I will see him once again. Until then he'll be watching down on me, the rest of his family and his very large circle of friends. We'll sure miss you, but never forget you! If anyone has a story, pictures or thoughts on Marv feel free to email them to me, I'd be happy to put them on this page.